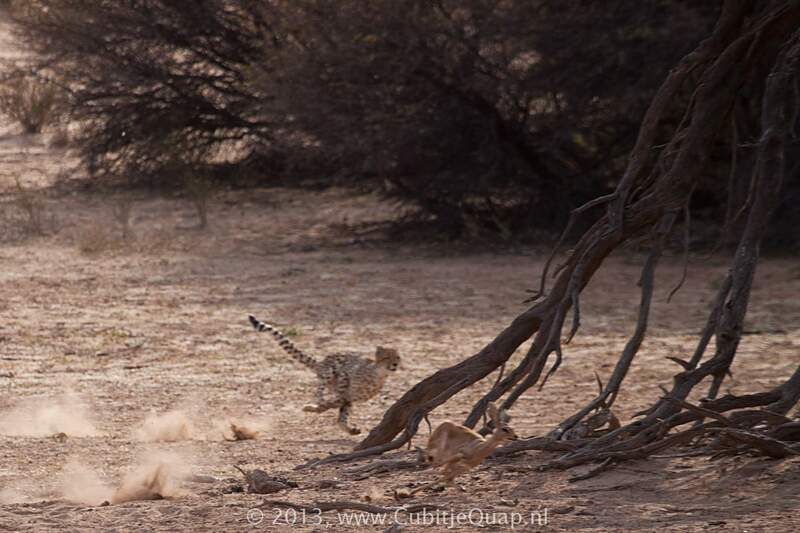 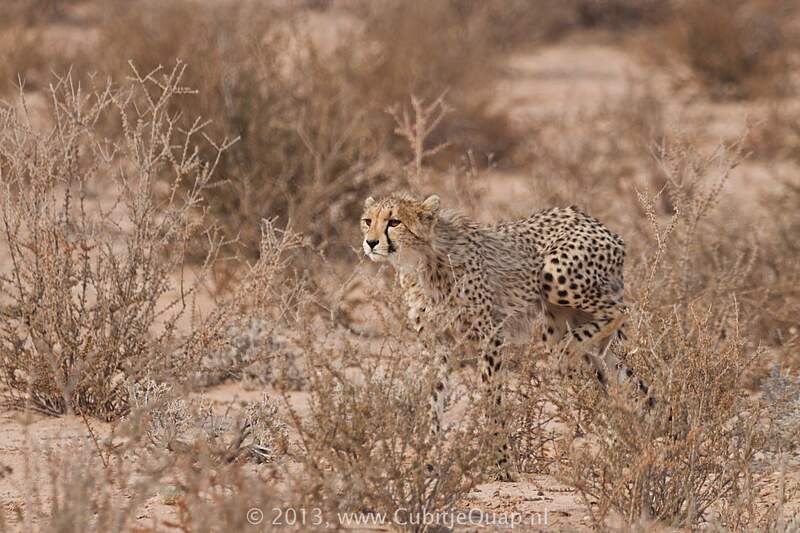 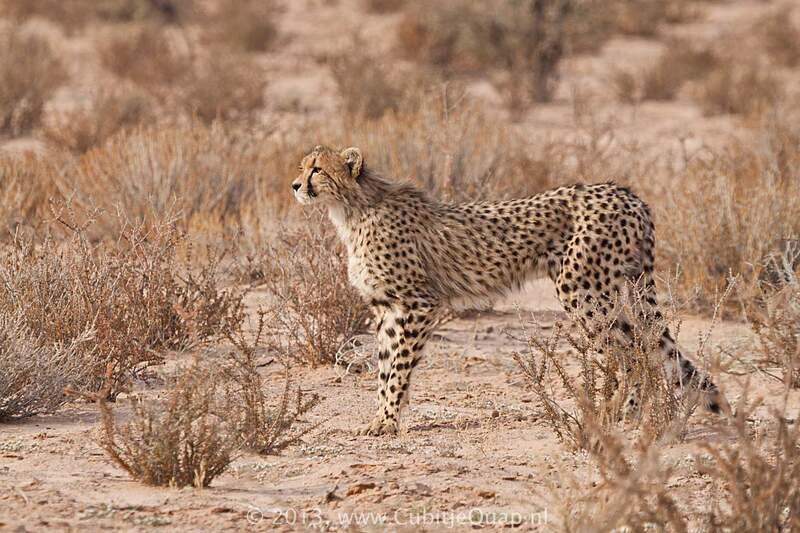 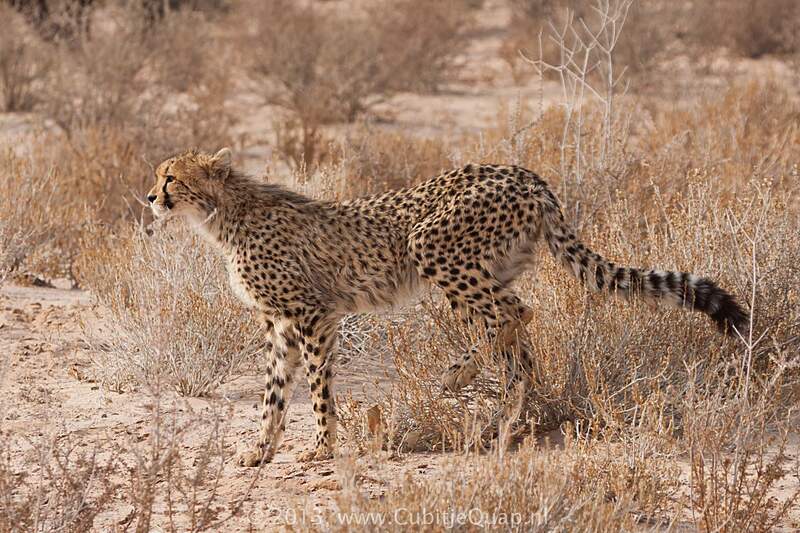 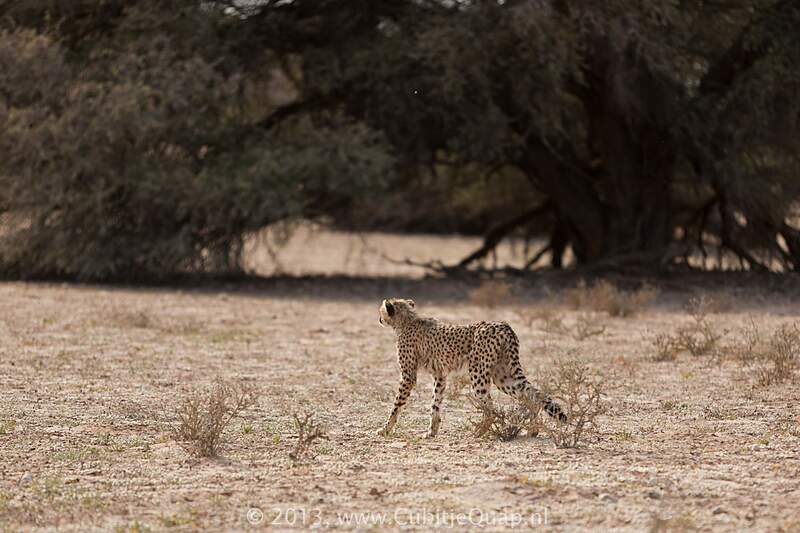 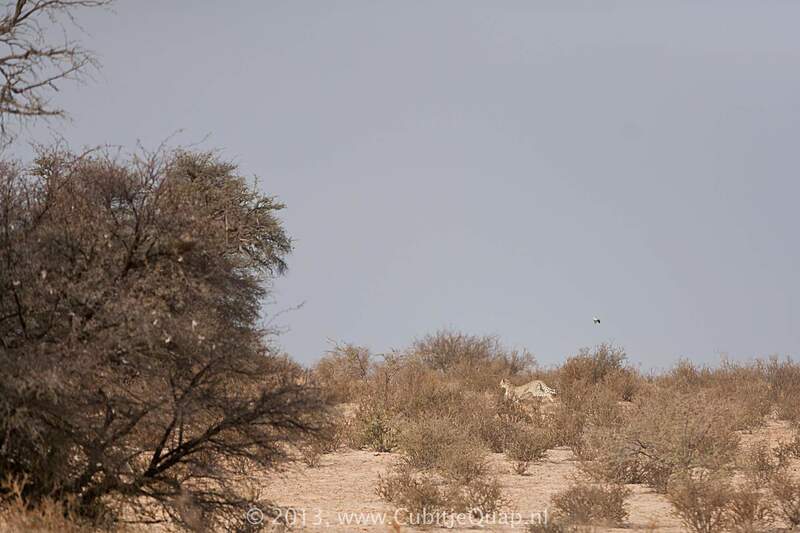 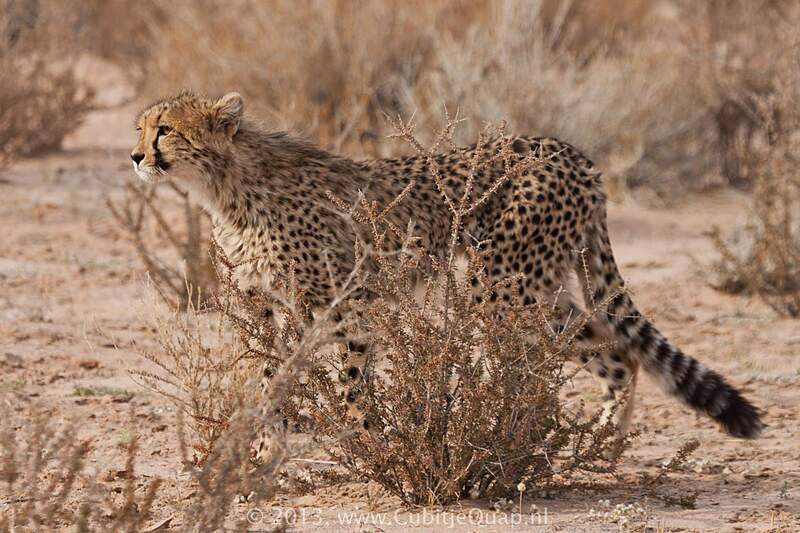 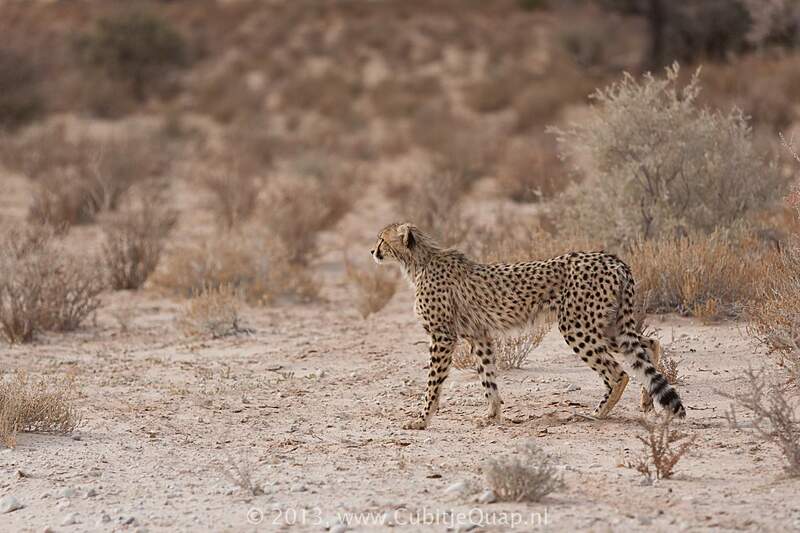 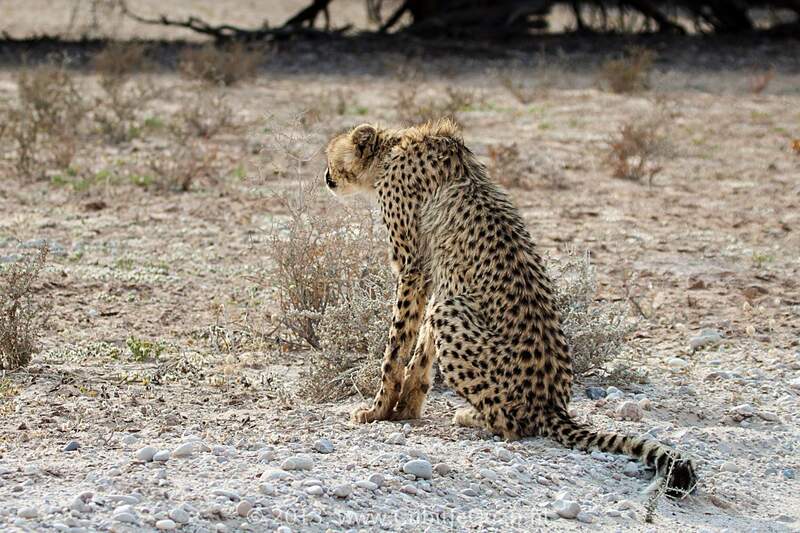 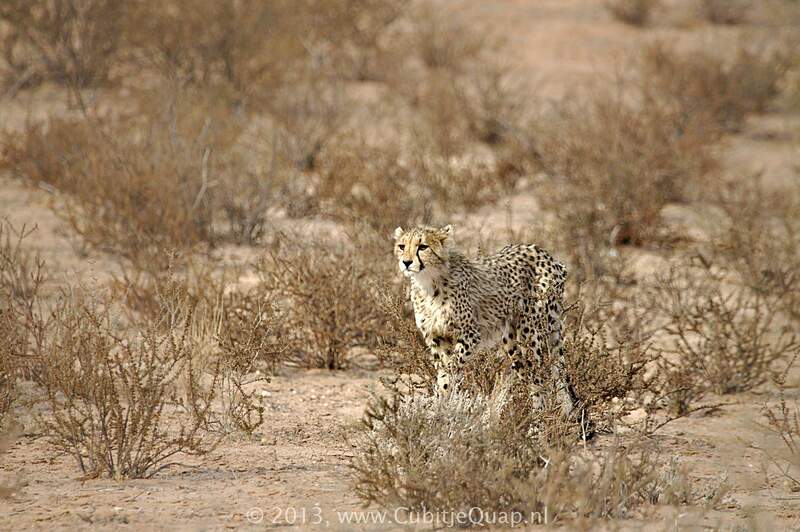 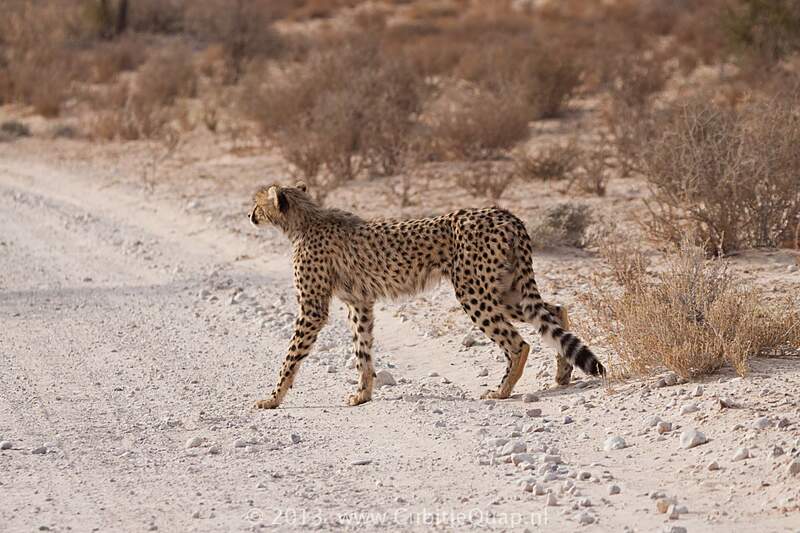 We had spotted a group of four young cheetah along the road between 13th and 14th borehole. 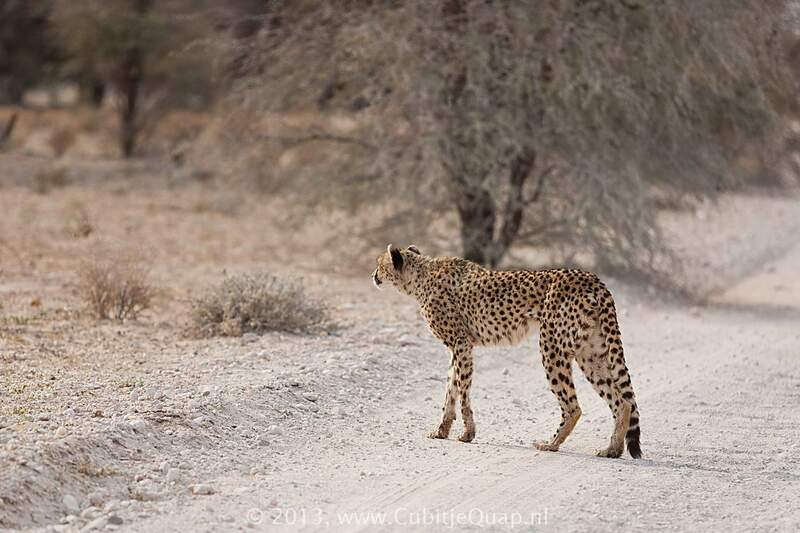 It looked as if they were scanning the riverbed for prey, but a but later, they slowly walked away. 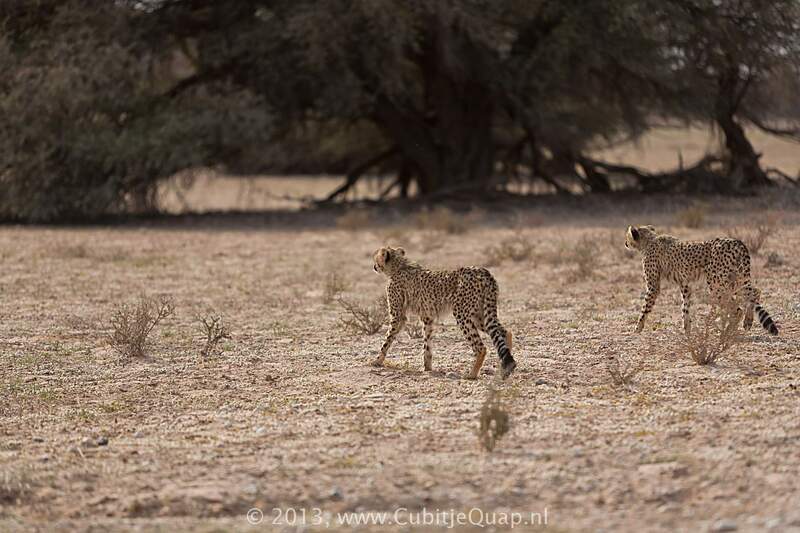 Upon entering the riverbed, a few started to move to the side and we suspected they were trying to encircle their intended prey animal. 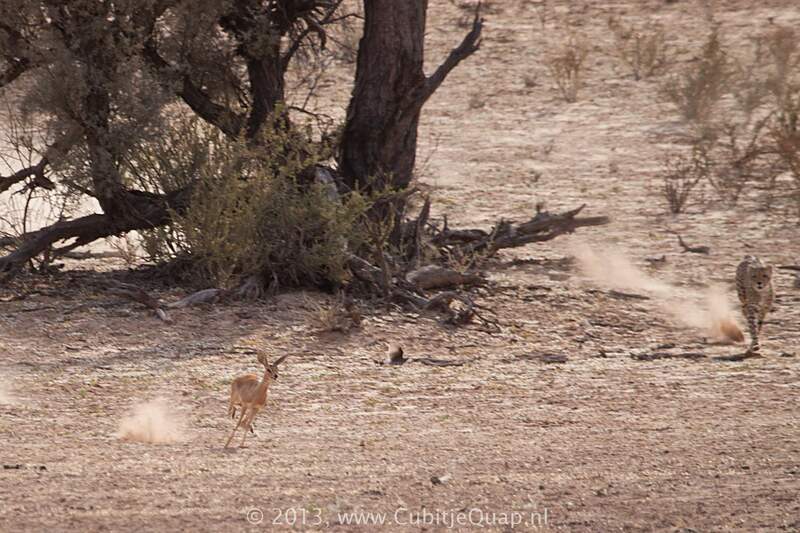 We spotted a pair of steenbok under a camelthorn, the potential prey. 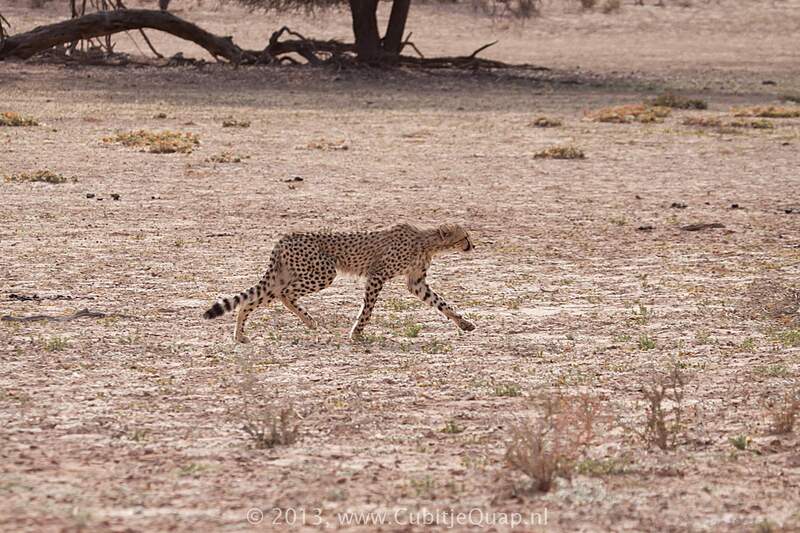 the cheetah's chased it. 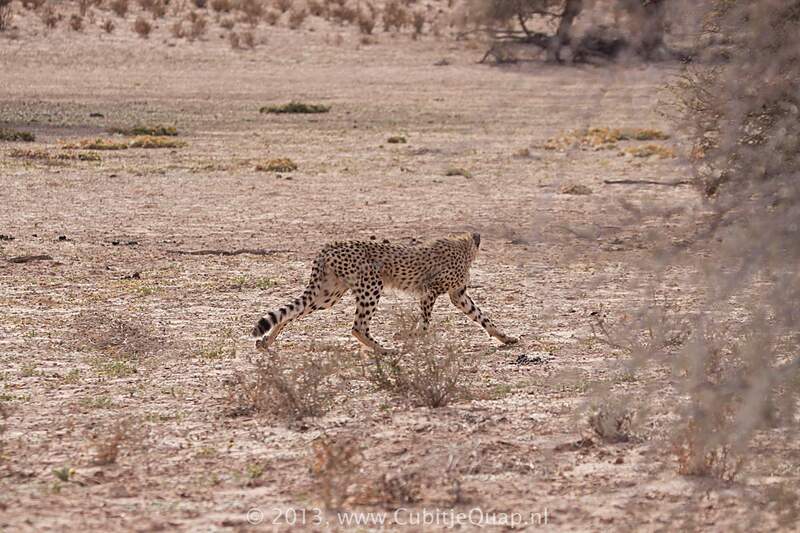 The steenbok headed for the dunes and we were unable to see how the chase ended.